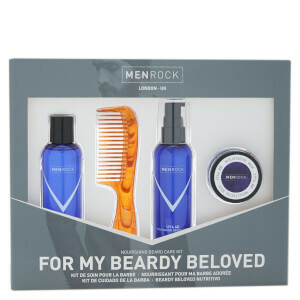 The Nourishing Beard Care Kit from Men Rock is a four-piece collection that promises to cleanse, condition, style and tame your facial fuzz. 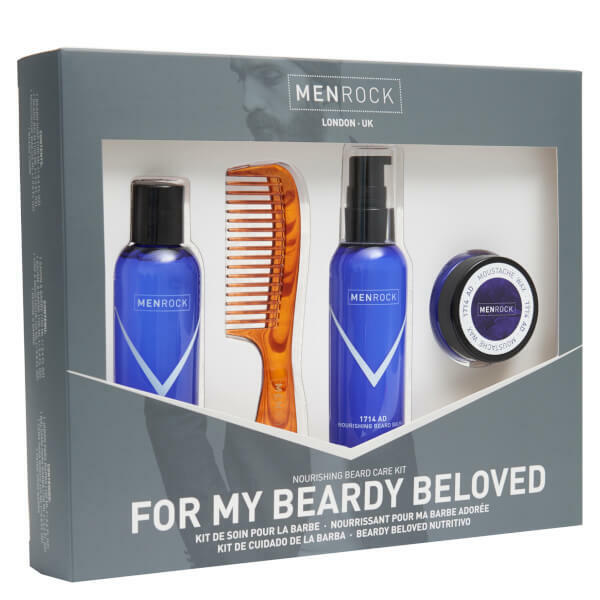 Housed in a gift box, the grooming essentials allow you to achieve a perfectly styled beard and moustache that looks in tiptop condition. E.N. Remove dead skin cells and styling products with the gentle cleansing soap. 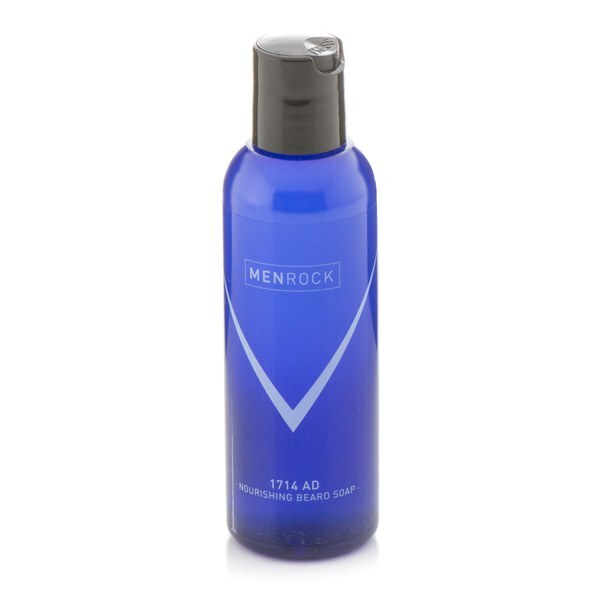 Leave your beard refreshed with the brand's signature scent of bergamot and cedar. A nourishing balm with the brand's signature scent of 1714AD bergamot and cedar. 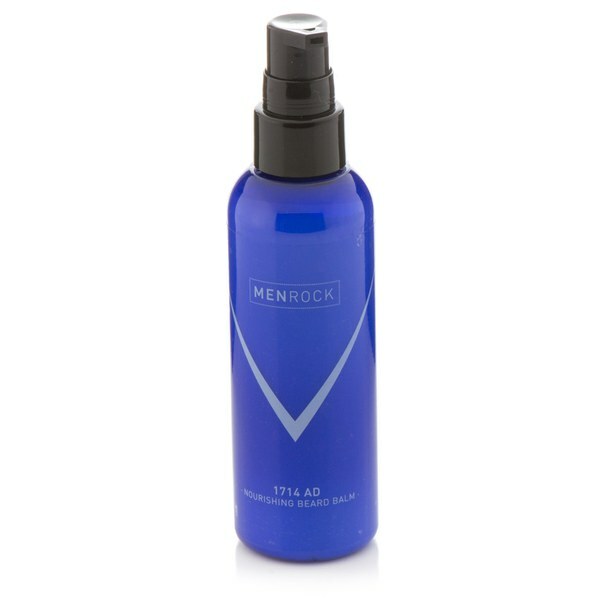 Dedicated to softening and conditioning your beard, you will be left feeling like a new man. Infused with the brand's signature scent of cedar and bergamot, the wax provides medium-firm hold to give you complete control over your moustache. Allows for easy styling, shaping and taming of facial hair to ensure your handlebar, pencil ‘tache or desired look never takes over your top lip. A must-have tool for a smooth and tamed beard. The fine quality comb features a branded handle and wide bristles that glide through facial hair without snagging. Its compact size is ideal for travelling.